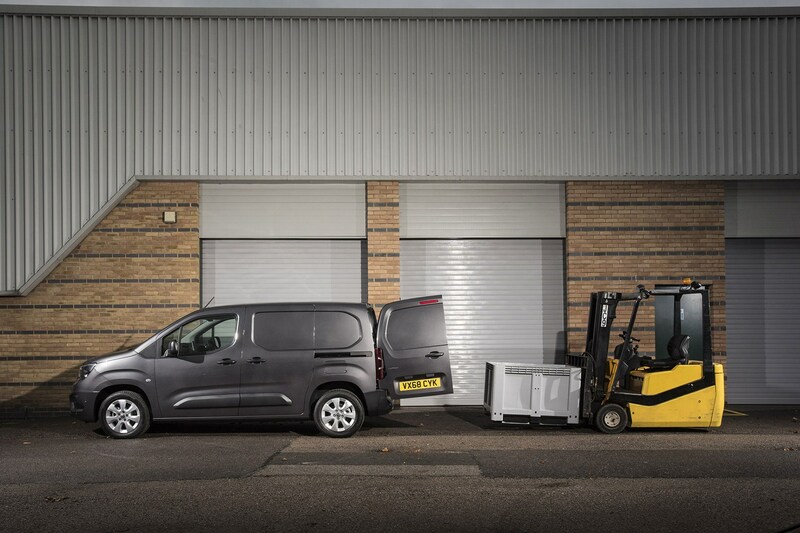 Introduced in late 2018, this latest Vauxhall Combo Cargo small van takes full advantage of Vauxhall’s new relationship with PSA Peugeot-Citroen - the PSA Group having bought the British brand in 2017. In fact, you may develop a sense of deja vu if you’ve already read about the 2019 Citroen Berlingo van and Peugeot Partner van. Nonetheless, this review specifically covers the Vauxhall Combo, detailing all its best bits, the less good areas, and what makes it stand out. Capable of carrying just over 1,000kg (1.0 tonne) and packed with high-tech features, including a system that warns you if the van is overloaded, Vauxhall has high hopes for the new Combo. With load volume and fuel economy that also aims to impress, could this be the Combo to finally take the small van fight to the Ford Transit Connect? Other vivals include the Renault Kangoo and the Volkswagen Caddy. 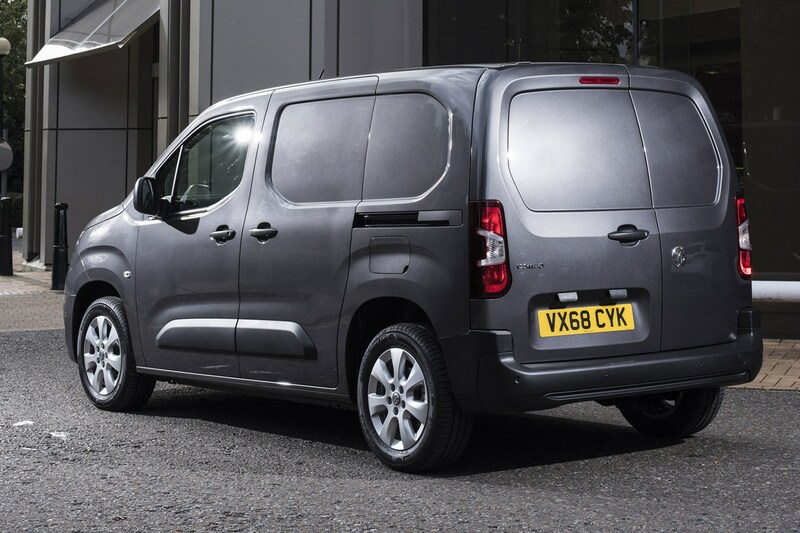 What is the 2018 Vauxhall Combo Cargo based on? 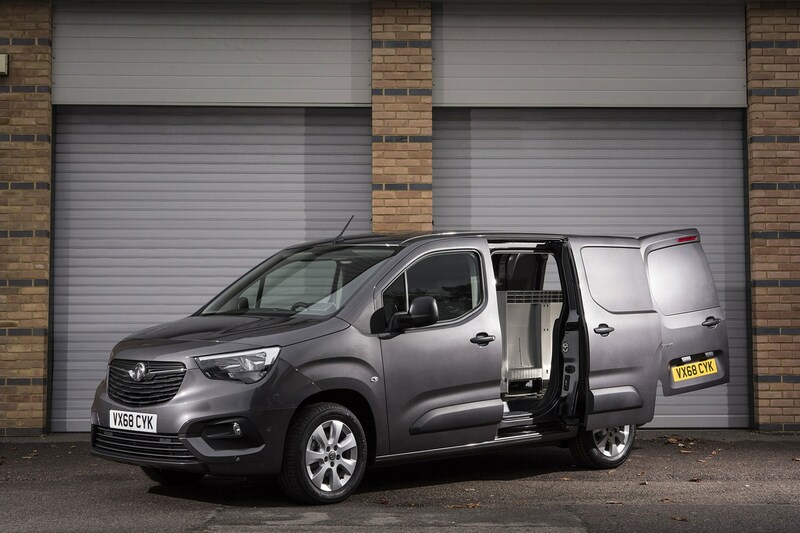 The old Vauxhall Combo was based on the Fiat Doblo Cargo, but the 2018 model shares its platform, technology and much of its design with the similarly brand new Citroen Berlingo and Peugeot Partner vans. Built from aluminium and steel, and using a mixture of Peugeot-Citroen car and van parts, this gives the new Combo compact dimensions for its carrying capacity and modern fuel-saving features such as electric power steering, not to mention access to a whole host of active driver aids and other clever features. There is also a passenger car version of the Combo, called the Vauxhall Combo Life. 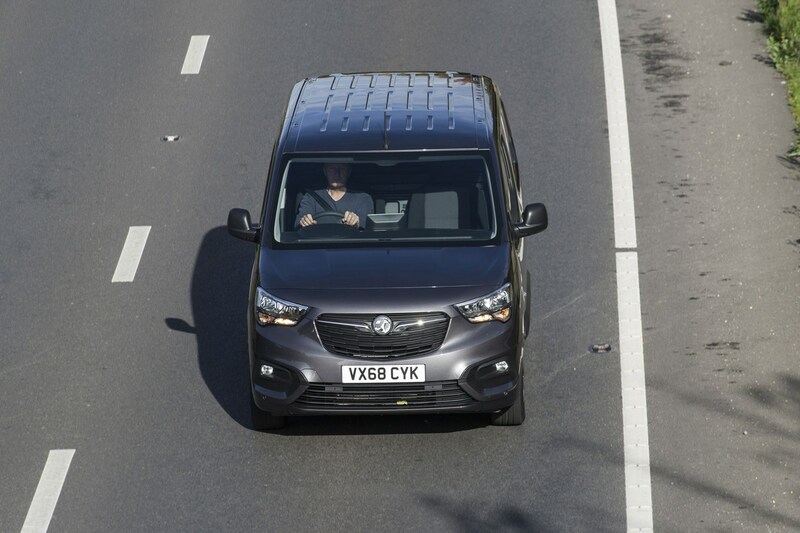 The new Vauxhall Combo van comes in two body lengths - short-wheelbase (SWB) L1 and long-wheelbase (LWB) L2 - but only a single roof height (labelled H1). The long-wheelbase version also comes as a Crew van, capabale of carrying up to five people, with a partition wall behind them to separate passengers and cargo. The rear bench can also fold down, while the partition can be moved and stored behind the front seats to maximise load space. There are three trim levels: Edition, Sportive, LE Nav. Whether the Vauxhall Combo Cargo beats the Peugeot Partner and Citroen Berlingo for you will likely come down to the slimmest of margins. 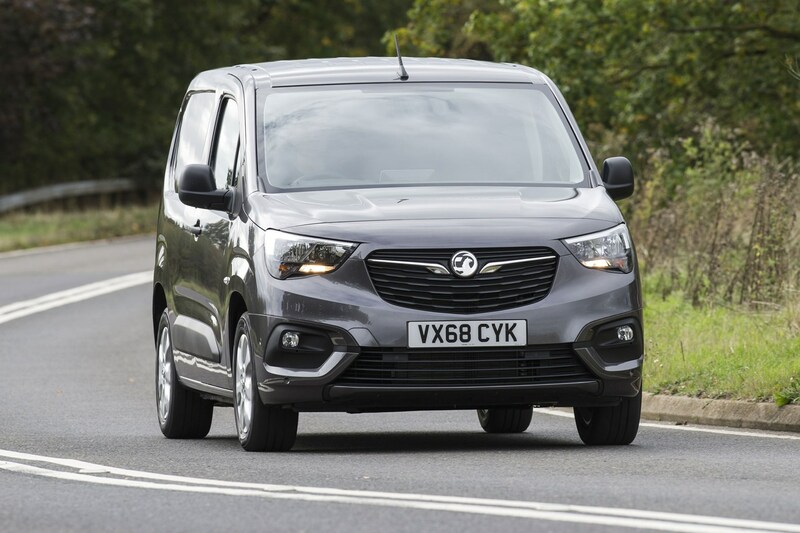 They all offer a similar driving experience and practicality, but the Vauxhall has the most traditional van experience, and works well without any frills. The Peugeot has its quirky i-cockpit driving position, while the Citroen offers a more rugged appearance. How close your dealer is and what you can get for your money will probably help make that decision. Whichever you pick you'll be getting a comfortable, highly functional small van, and collectively they go straight to the top of the class as our recommended starting point if you're shopping in this sector of the van market. At launch in late 2018, the Vauxhall Combo was available with a choice of three diesel engines – two older 1.6-litre units and a new 1.5-litre motor. In the second quarter of 2019, a pair of 1.2-litre turbo petrol engines join the range. These are not expected to be big sellers, however, due to their relative lack of torque and poorer long-distance fuel economy. Though they may prove suitable for inner-city use. The 1.6-litre turbodiesels come with either 75hp / 210Nm or 100hp / 250Nm. Both are fitted with a five-speed manual gearbox. The 100hp variant offers an adequate amount of power for most, while the 75hp variant will be best limited to low-speed, town environments with light cargo on board. The newer 1.5-litre engine – which meets the very latest Euro 6D Temp emissions regulations well ahead of the September 2019 deadline for vans – provides 130hp and 300Nm of torque. The 1.5 is available with either a six-speed manual gearbox or an optional eight-speed automatic transmission. The 1.2-litre petrol engines promise 110hp / 205Nm with a six-speed manual gearbox or 130hp/230Nm with an eight-speed auto. The Vauxhall Combo Cargo has been set up with comfort in mind and manages to isolate the cabin from road imperfections quite well. Combine the softly-padded seats with plenty of suspension travel to soak up larger bumps, and you have a small van that serves up long-distance comfort pretty well - even if some may find the seat bolstering a little flat. 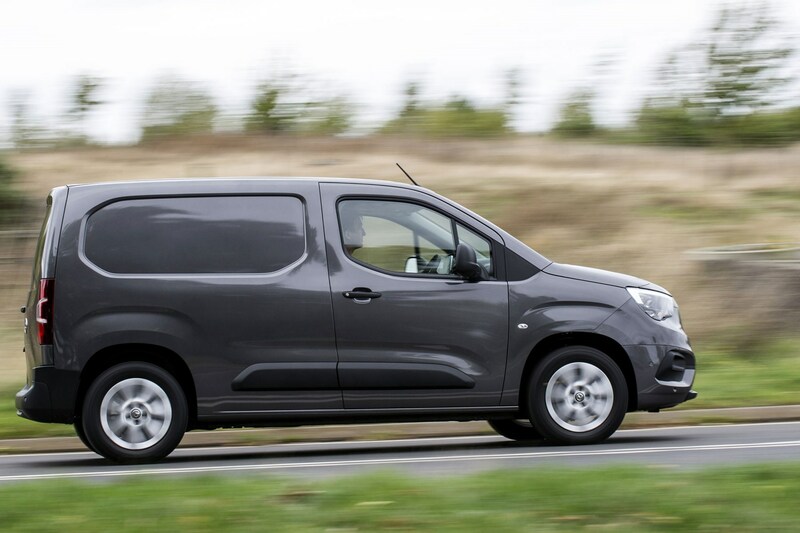 We’ve yet to sample the petrol engines, but experience in the Citroen Berlingo suggests their lower weight results in a slightly more bouncy ride. 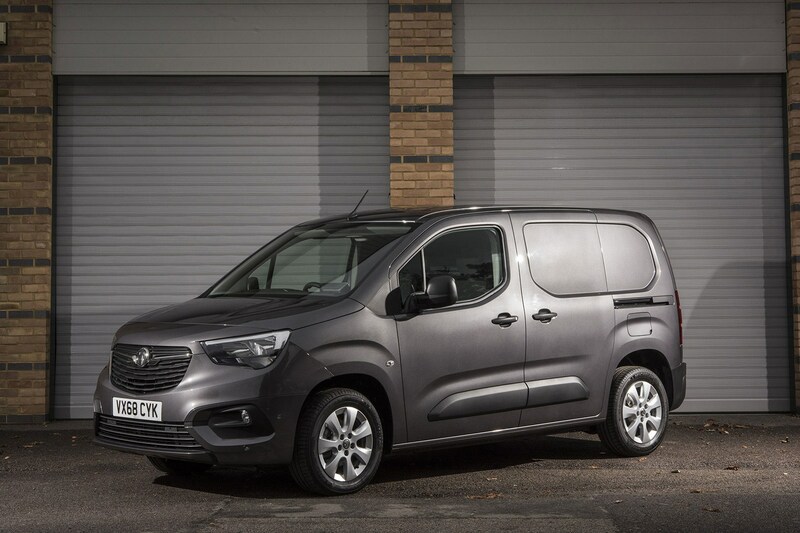 The Vauxhall Combo’s handling will never be classed as sporty but it remains composed and car-like for a van of this size, meaning it’s not too top-heavy until you really push on. For those who spend the majority of their time in town and city environments, the turning circle on the L1 short wheelbase is 11.0 metres and creeps up to 11.8 metres on the long wheelbase. By and large, the Vauxhall Combo is refined enough to spend long journeys in. The 1.6-litre diesel engine in the Vauxhall Combo isn’t the most up-to-date engine on sale, however. It’s not particularly loud or crude, provided you don’t work it too hard under acceleration, but there is a distant drone filtering into the cabin most of the time. 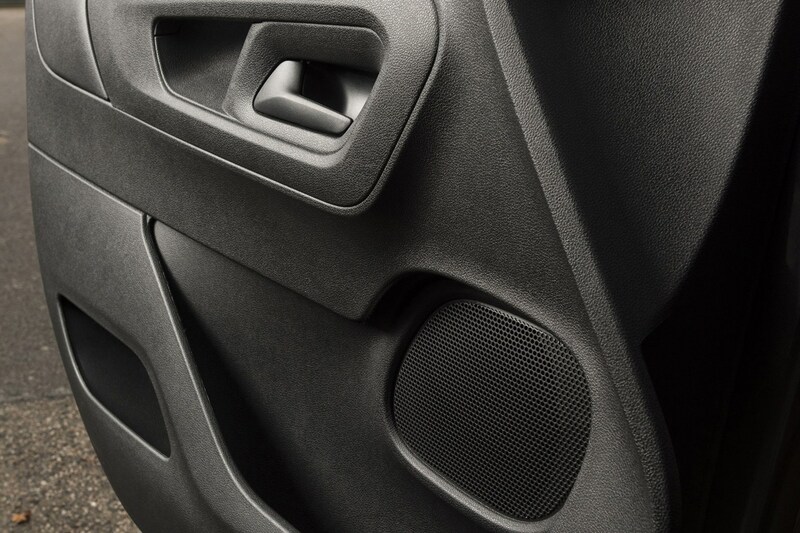 The bulkhead separates any noise from the load bay resonating into the cabin. Climb into the driver’s seat in the Vauxhall Combo Cargo and you’ll find a spacious cabin, with a driver-focussed dash angling the centre controls towards you. If you can’t get along with Peugeot’s more unusual i-cockpit layout in the Partner, this Combo Cargo could be the one for you. However, other than the steering wheel, headlight controls and dials found in other Vauxhalls, there’s little distinction between this and the Citroen Berlingo. The dash-mounted gearlever and optional electronic handbrake switch frees up floor space, while the Vauxhall is the only one out of the three to offer a heated steering wheel as an option. A two-seater bench can also be optioned to replace the front passenger seat, allowing the Combo van to accomodate three passengers. For even more seating, a five-seater Crew van option is available on the long-wheelbase version. There’s a raft of storage areas dotted around the cabin, with storage bins found under the seats, on the roof and behind the instrument cluster. A mid-level tray large enough for smartphones sandwiched between two gloveboxes in front of the passenger. 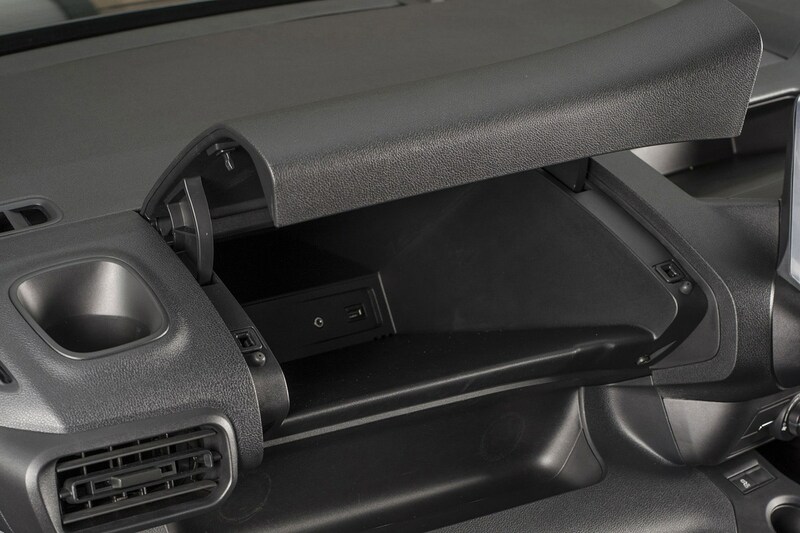 The dashtop-mounted glovebox also houses a USB connection and aux-in socket. The Vauxhall Combo uses the same touchscreen infotainment system as the Peugeot Partner and Citroen Berlingo. This means you get an 8.0-inch touchscreen with six shortcut keys on either side on top-spec LE Nav. Sadly, the shortcut keys are quite small and can be quite hard to press on the move, while the sat-nav system can be a little slow to load and respond to commands. Apple CarPlay and Android Auto is also limited to top-spec models if you rely on your smartphone. Standard models come with a small monochrome display instead, surrounded by small buttons for the DAB radio, USB and Bluetooth. 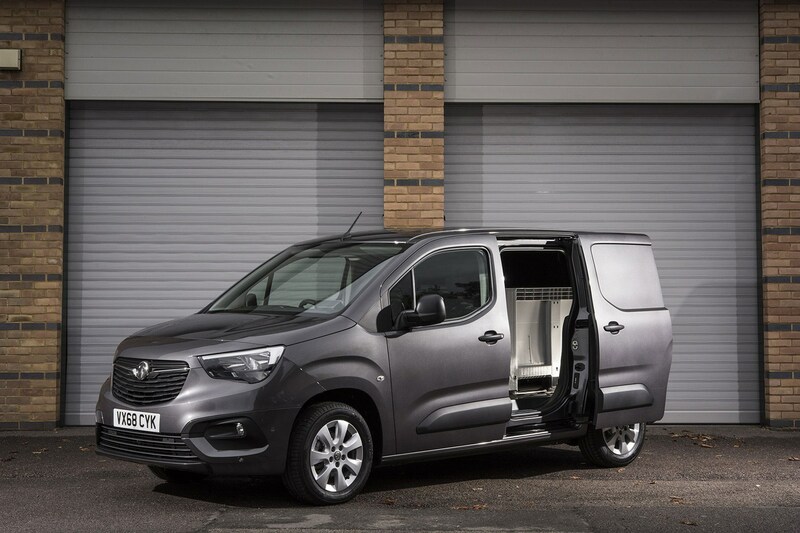 The Vauxhall Combo Cargo is a good value small van, offering low running costs thanks to its frugal engines, competitive retail pricing and a decent range of trim levels - though standard equipment isn't necessarily as generous as it is on the Berlingo and Partner. Here are the standard equipment highlights for each one. 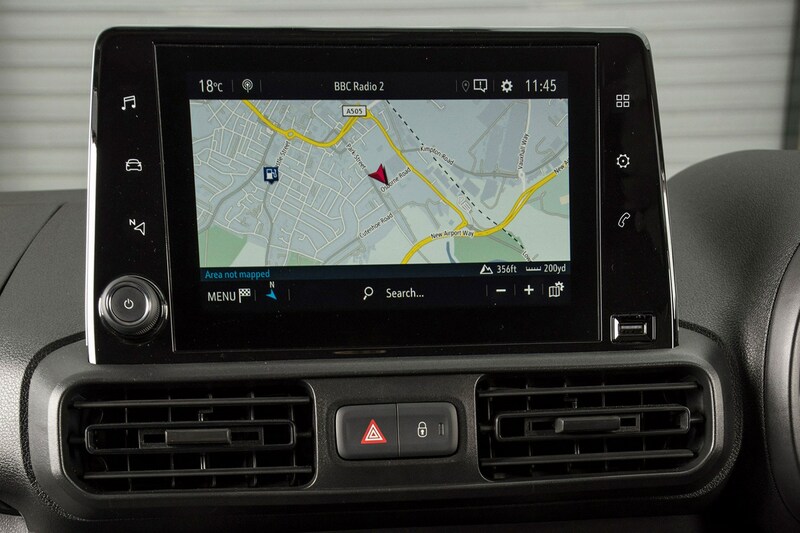 The LE Nav trim echoes similar models previously available on the Vivaro and Corsavan, and as the name suggests it includes satellite-navigation as standard. 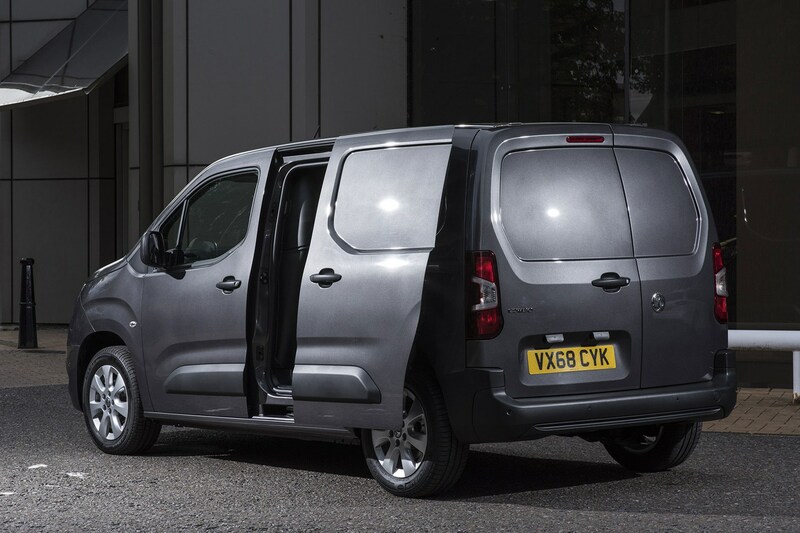 Arriving in 2019, the LWB-only Combo Crew van is available in Edition and Sportive trim. Its major feature is a second row of seats, but it also comes with a fold-flat front passenger seat and a movable cage-style bulkhead that has two positions – and what’s described as a ‘protective bag’ to prevent damage to the interior and dashboard when longer loads are being carried. Parking pack: front and rear parking sensors, rear-view camera, Flank guard system, electric folding door mirrors, front fog lights with cornering function. Individual options include wireless mobile phone charging, head-up display, LED lighting for the load area, fixed windows for the side and rear doors and electronic climate control. Then there's the Intelligrip traction control system. Rotate the dial beside the gearlever to choose between Normal, Snow, Mud, Sand or ESC Off, depending on the road conditions to maximise traction. A spare wheel is a no cost option, but this will eat into your payload. How does the 2018 Vauxhall Combo’s Overload Sensor work? This is an absolutely brand new feature in the van sector, first coming to market on the Combo, Berlingo and Partner in 2019. Available as a cost option on all Combo models, the sensor is there to prevent you accidentally breaking the law by unknowingly overloading your van. As such, the system boots up automatically whenever you start the Combo’s ignition. If you’ve gone over 80% of the allowed payload, a white LED comes on to warn you that you’re approaching the limit. If you exceed the payload limit altogether an orange warning light with an exclamation light comes on. You can also press a button in the load area to activate the sensor, so you can check how close you are to the limit while loading, hopefully saving you from having to take things back out. Since the Vauxhall shares parts with its Citroen and Peugeot platform-mates, they should be easy to replace and source, which should help keep maintenance costs down. Vauxhall says that compared with the old Combo, the new model is at least 16% more fuel efficient, which in turn means it's 8% more economical than ‘the closest relevant competitor’ (which is a cute way of saying the functionally identical Peugeot Partner and Citroen Berlingo are likely to achieve similar mpg). All diesel engines claim to achieve over 60mpg with CO2 emissions ranging between 109g/km to 120g/km. Only the 100hp version of the 1.6-litre Turbo D has stop-start as standard, however, which helps it achieve a marginally higher claimed official fuel economy of 67mpg; the 75hp engine claims 66mpg. Diesel models come with a 50-litre fuel tank, making room for a 17-litre AdBlue. tank as well Petrol models come with a larger 61-litre fuel tank. Fuel economy for petrol engines will be confirmed later in 2019. Service intervals extend to 25,000 miles on the 1.5-litre Turbo D, which means lower mileage drivers will only have to visit the dealership once every two years. Final details on service intervals for the 1.2-litre petrol engines will be announced further in 2019. The Combo comes with a comprehensive three-year, 60,000-mile warranty as standard. 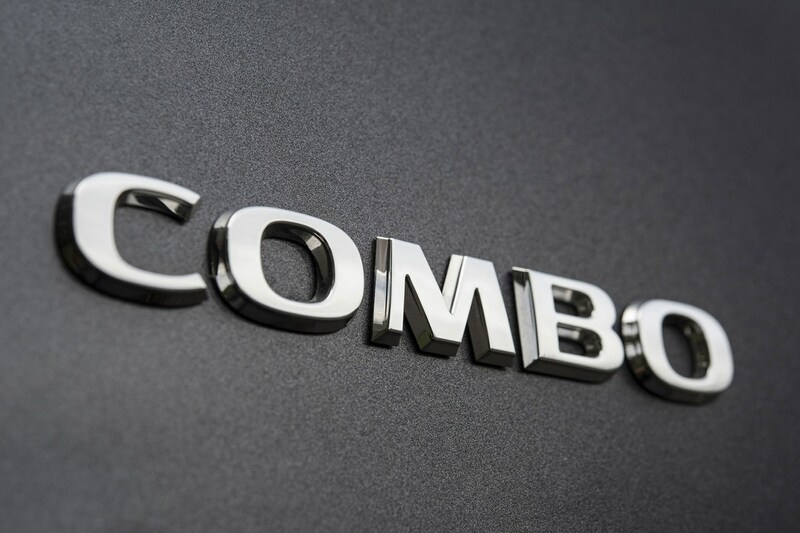 The Vauxhall Combo is currently too new for any common faults to have become apparent, but it uses tried-and-tested components found in other PSA products, so we're not expecting any major reliability headaches. How safe and secure is the the Vauxhall Combo? Keep reading to find out. Starting with the all important airbags, only a driver's item is standard, with passenger, side and curtain airbags optional extras. However, what really makes the Combo (alongside its Peugeot and Citroen cousins) stand out are the high-tech safety extras that are available. Highlight features include a system that combines cameras at the rear and under the passenger side door mirror to eliminate blindspots and aid manoeuvring in tight spaces. The rear camera can be displayed permanently, giving you a ‘digital rear view mirror’ while driving; a secondary door mirror camera also comes on when you activate the indicator on that side of the vehicle. But while this may seem like a good idea, we've tried it in the Partner and the image quality isn’t clear enough to make it properly useful. In addition to this, a new Flank Guard system uses the front and rear parking sensors to detect and remember objects that might be lurking out of sight to the side of the van, helping you to avoid accidental damage. This is only available on models with the touchscreen infotainment system. Something else to consider is the Intelligrip system; the Vauxhall version of PSA’s Grip Control feature, this is an enhanced traction control system designed to deliver improved grip on slippery surfaces. This is only available in conjunction with the Construction Pack. All models come with remote central locking, locking wheel nuts and an engine immobiliser. A remote control alarm system is fitted on Sportive models and above, as well as an indicator that displays in the cabin whether any attempt to enter or steal the vehicle has occurred in the driver’s absence. The rear door hinges are now integrated to reduce access to thieves. Which Vauxhall Combo is best for me? 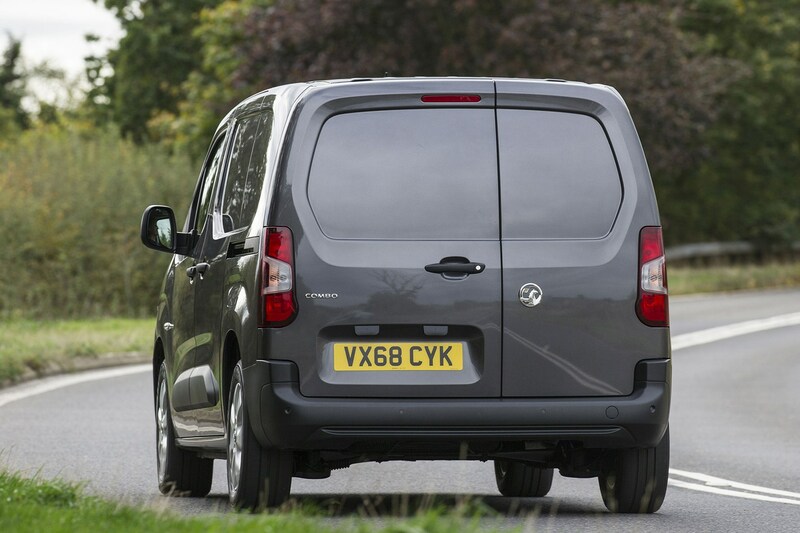 Still trying to work out which Vauxhall Combo Cargo is best for you? Here's a little more insight. Those looking for the most economical Vauxhall Combo will be best to seek the short wheelbase L1 fitted with the 1.6-litre 100hp diesel engine. This peaks at 67.3mpg and also the lowest CO2 figure at 109g/km. As mentioned above, all the diesels achieve above 60mpg, so even the worst offender – the long-wheelbase Crew Van with its extra seating – claims 62.8mpg. On paper, the 1.6-litre 75hp diesel is best with a maximum payload capacity of 1,021kg. That said, the 1,020kg rating on the 100hp version is a negligible difference and that engine will be more comfortable with hauling that weight. The 130hp 1.5-litre automatic will still manage 1,000kg, while the lowest figure will be the Edition van with the 1.5-litre diesel at 658kg. 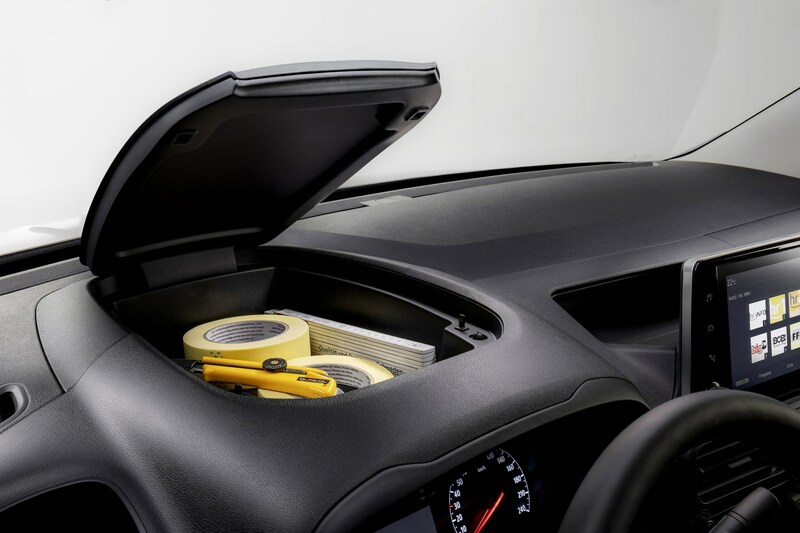 For full Vauxhall Combo load area and carrying capacity details, see our dedicated dimensions page by clicking the tab above. The entry-level Edition will be a bit sparse for most people despite the standard-fit Bluetooth connectivity, DAB radio and USB socket. Move up to mid-range Sportive and you gain air-conditioning, rear-parking sensors, cruise control and alarm system. The top-spec LE Nav chiefly adds cosmetic changes and, while the added sat-nav and 8.0-inch touchscreen may appeal, this can be optioned on all other models. The 1.6-litre 100hp diesel will be the one to cover the majority of bases for most users. It combines adequate performance with a high payload capacity and a 1,200kg braked towing weight. The extra cost for the higher-performing 1.5-litre 130hp version may be justified if you require an automatic or require the higher braked towing capacity of 1,500kg.